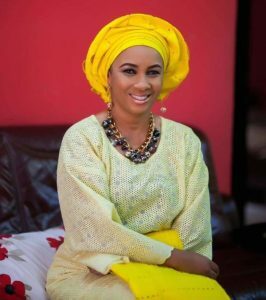 Ibinabo Fiberesima, former president of the Actors’ Guild of Nigeria (AGN), shocked many of her fans and followers, when she announced that she has joined the ruling party, All Progressives Congress (APC). She was until recently a member of the opposition Peoples Democratic Party (PDP). Announcing her defection in a Facebook post, the 46-year-old said she was exercising her constitutional right to freedom of association. “I am one that has respected and enjoyed such rights especially making use of such association for the furtherance of my aforementioned goals and objectives,” she said. Reports says that Ibinabo told that her decision to dump the PDP is not unconnected with her failure to secure the party’s ticket to contest the Rivers State local government election in 2018. The former beauty queen had sought to contest for the chairmanship of Okrika Local Government but she was made to step down for someone. Ibinabo’s best moments as a PDP member came under former President Goodluck Jonathan. She had direct access to the State House and was responsible for contracting actors for Jonathan’s 2015 presidential election campaign.